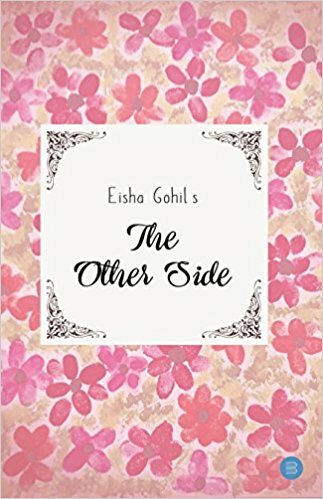 A very beautiful real life story of two lovers who fell in love at a very young age and walk together through different circumstances but end up parting their ways owing to the problems that occur as they both follow different religions. To make their families happy, they sacrifice their love and happiness. 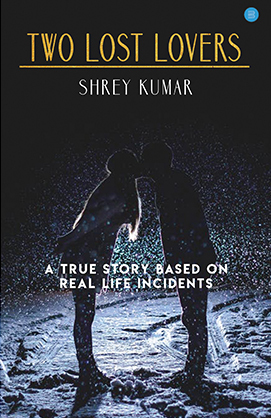 To know more of this unbelievable love story and what happens in Sunny and Jenny’s life get inside it to have a thrill feeling of the story. The book is user friendly and based on the concept of linking learning. There are 85 high frequency words followed by an interesting collection of idioms and phrases. 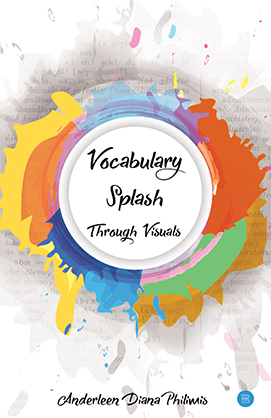 All the high frequency words are represented by images, root words/word origin, synonyms and antonyms and illustrated sentences. Further, this book also offers simple and interesting analysis. For those looking to enhance their knowledge of idioms & phrases and vocabulary skills in a stimulating way, this is your cup of tea. 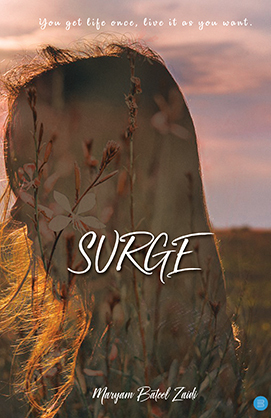 The story deals with how fate jeopardized Sarah’s dreams, and how she stood up again and turned the tables. The girl proved that one does not need a perfect life partner to live a beautiful life. She proved that no one in this world can hurt you until you let them do it. Miseries break people apart, but here, it made this little girl strong, brave and bold enough to conquer the world. 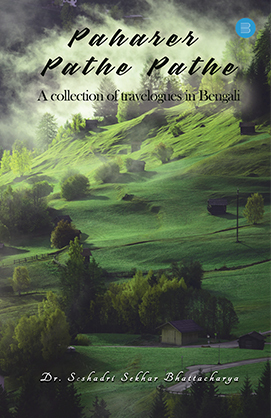 Paharer Pathe Pathe The book is about author’s journey to different mountains and hills of Indian sub-continent spanning a period of last 22 years. Bearing a few hard treks through high mountains, most of the journeys are easy, joyous family-trips to the hills, witnessing their towns, meadows, valleys, waterfalls etc. 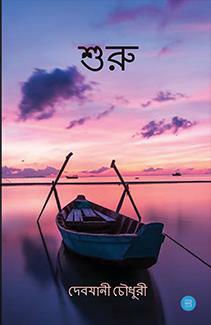 Author’s first book on travel has 6 sections, the first one being the memories of first ten years’ travel experience. Next 4 sections of the book depict a wide range of hills and mountains covering a vast geographical area of our country. Along with travel experience, historical background and geographical beauty of noteworthy places have been shared vividly with the readers. The last section of the travelogue is a bit different in nature – hard treks through Garhwal Himalayas culminating either in Nature’s eternal beauty or in some of the holiest places on earth. Author’s love and thorough observation of Nature is clearly visible in almost all the articles of this book. Through his articles, he has always been trying to spread the message of love and respect for the country in its every kind of achievements. Hopefully, this book will satisfy both the holiday-makers as well as the gritty trekkers. In the recent years Hyderabad city have been rapidly developing due to increase several manufacturing industries i.e., bulk drugs, pharmaceuticals, mineral based industries, agro processing industries, lather, textiles, automobiles industries.. etc., it is resemble of rising pollution level in the Hyderabad city. 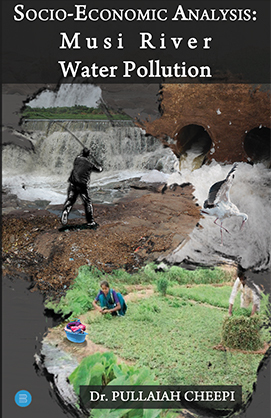 This book entitled “SOCIO ECONOMIC ANALYSIS: MUSI RIVER WATER POLLUTION” was focused on the socio economic conditions of the people those who were residing the downstream villages of the musi river; they have been using the polluted water for the cultivation of crops, it was found that the paddy, leaf vegetables, vegetables, and grass grown in the area highly contaminated, this have been adversely affected. On the other hand traditional occupations like, washer men, fishermen, shepherds’, weavers, pot makers, gold smiths and toddy tappers they lost their occupations. In these area health problems of human being (skin allergies, diarrheic, malaria, food poison, joint pains, and water born diseases) is more, they have been spending lakhs of rupees of money on health and buying drinking water. 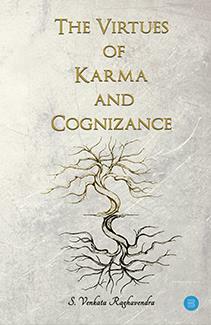 The book with four stories, three on the ever-believed subject of Karma and one exploring the truth of one’s conscience. Karma: 1. The Debts of Karma: Money makes many things. Sanjay being stuck between his debt of money and in the debt of karma. Find what happens when he decides to payback both. 2. The Fate Proclaims: With a diary mistakenly owned, explore what the protagonist is trapped with. Is it really his karma that has brought him to this fate? 3. The Song of Revenge: Time and Karma are the most intertwined factor ever discovered. Will one uphold the destiny the other embarked? Be acquainted with it as the three characters travel to their path of destiny. 4. Constrains of self: With a killer being emerged in the quiet city of Loris, Charles, one of the top detectives in EDA sets the journey to remove the mask off the killer and ends up knowing the thundering truth that tried to shake the root meaning of humanity. stories and hopefully will be appreciated by its reader. look for answers to deal with the problem. 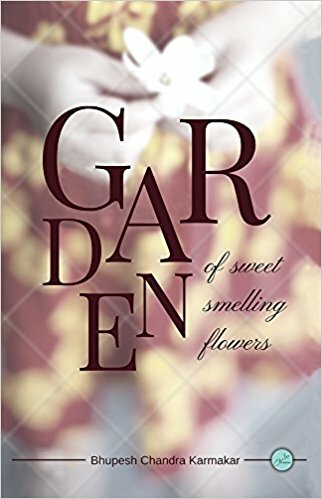 A Garden of Sweet Smelling Flowers’ is a book of joyous and sympathetic poems. 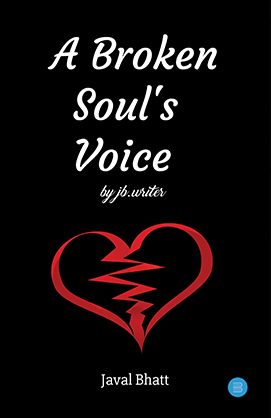 The beautiful poems present a mosaic of twin colors of joy and pain reflecting the various dimensions of human experiences. The author touches various topics like prayer, festival, history, journey, love, nature, religion, sadness, pleasure, beam of sun, moon, fragrance of morning & evening, emotions, gloominess, bird, peace of mind, melody of love and dream. The poems in this book are interesting and the outpourings of the heart. 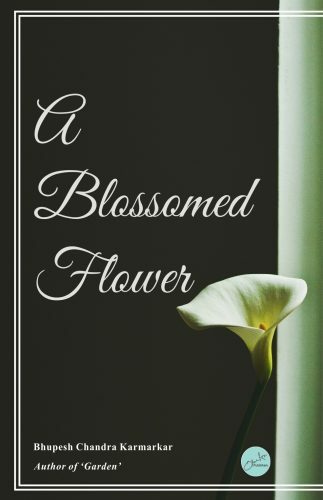 The poems create an everlasting impression for the reader. 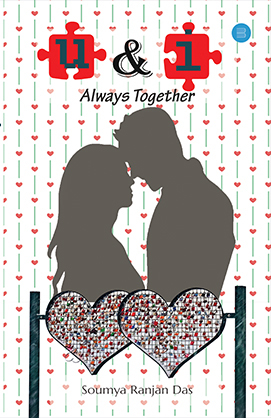 Two love birds, Sanket and Shubhi, who believed that they would live together forever, encounter such events which increases their misunderstanding and eventually leads to break up. The anger and frustration of Sanket makes him plan do something which he might regret in the future. Sameer, Sanket’s best friend and guide, always came forward to his rescue and has always guided him the right path every time he found Sanket stuck in a situation. Will he let Sanket go forward with his plan or will try to stop him. Tanvi, Sanket’s childhood friend stands by him whenever he needed her, helps Sanket forget Shubhi and to start life afresh. What will happen if Sanket will ever come face to face with Shubhi? Will Shubhi forgive Sanket? Will everything be as smooth as it was earlier? This romantic thriller takes you through the life’s journey of a guy from his college days to the days when he has a dignified position in the society. 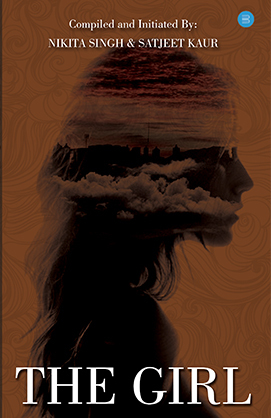 The book focuses on the relationships and how each and every individual perceives it in their own way. The different moods that a person goes through, the acceptance of people having nature which are poles apart and the understanding which increases along with the age are the main aspects on which this book focuses. Is it always worth waiting for your love? Do you believe in promises? 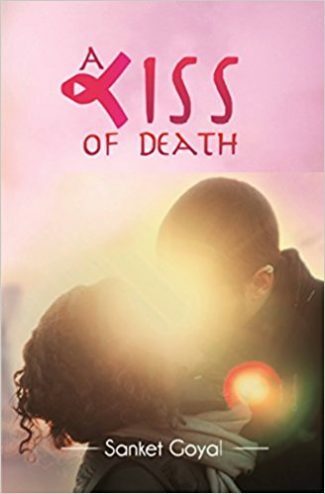 Arman falls in love with Nisha at a young age but Nisha does not to believe it as her true love. She loves him but fears of being heartbroken, dreams shattered. She hides her love from him. Arman, on the other hand, is committed to being with her forever. This story is all about love, life, and promises. 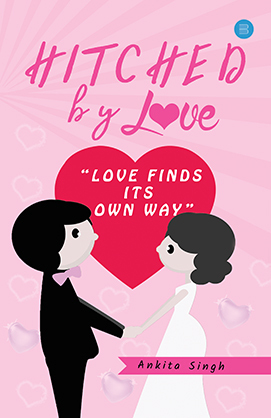 Grab your copy this love season! 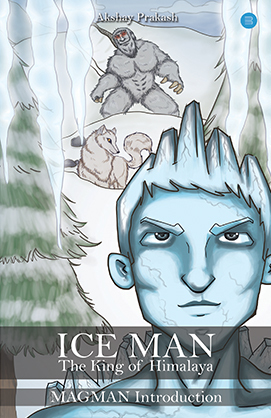 The book is a short collection of stories and is an attempt by the author to leave an impression on its readers. Go and grab the copy today! How beautiful she is! Glitters in the morning sunrise! She made me stumble with her eyes, not only me but also the rising sun. Thank God! I am the last one to enter the flight. Otherwise, the whole thing couldn’t have happened. 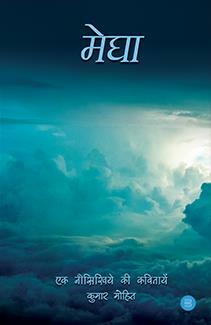 This book is a true story of a boy and a girl who met accidentally on an airplane. 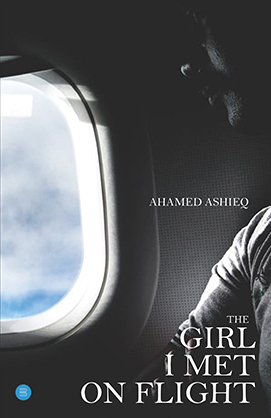 ‘ The Girl ‘ is an anthology about the struggle that every girl faces in her daily life. 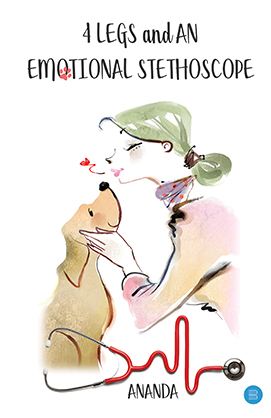 Through this book, the authors have beautifully penned down their thoughts and feelings. The book is for a cause. Grab your copy today! 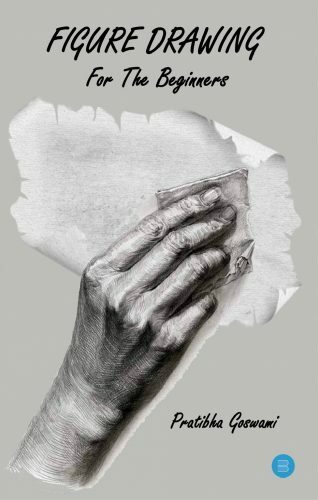 The book promises you a beautiful output of thousands of immature sentiments and billions of immature emotions, which are caged in words of the poets of this growing era. 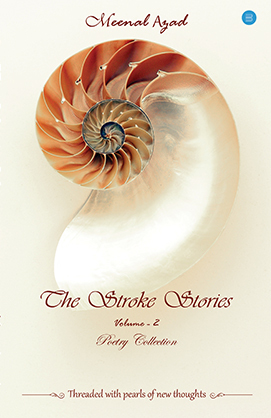 The poems are threaded with the pearls of new ideas and thoughts of new writers, which will hit your mind and touch your soul. 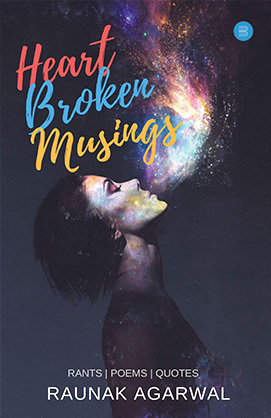 Poems, written in this book, are based on love, life, hope, anger, anxiety, bitter and beautiful experiences of young minds dealing with the situations of the present era. 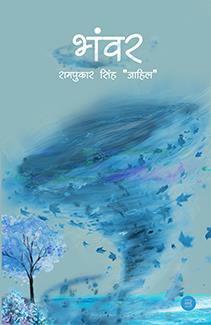 The book is a collection of poems which talks about various phases of one’s life. The author in his book has tried to summarize ‘life’. It contains his philosophy of life, happiness, love, sorrows, emotion, motivation and many other such aspects. Love..something i wouldn’t even want to look at. Something that i hate and something i can’t stand at all. But as said, what has to come finds its own way. Grab your copy today to look ahead into the story. 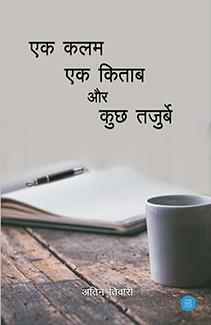 Through this book, I have tried to highlight the social evils prevailing in our society. 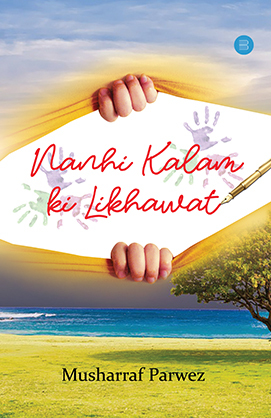 will create awareness in the society. It will also be a source of inspiration for students. Love can happen to anyone at any time like it happened to me. The book has got all the drama, from being placed at a good Multinational Company to being a failure and being fired from the job, from a twisted relationship with a college girlfriend to break up, and then falling in love again with a childhood sweetheart. The story moves ahead in the most loved Indian way of ‘love at first sight’. Moving away from her to making her realize what exactly love is with a sense of never-ending hope that she will come back one day. You never know even love can different tastes when with different people. And in the end, it turns out to be a miracle. ‘Love’ is a small word with a hidden meaning. You can experience it but can never understand it. 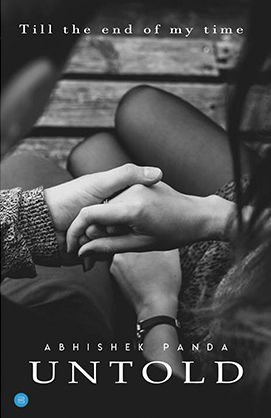 This book is a sarcastic and humorous take on love, life and everything in between expressed through 51 beautiful chapters of relatable quotes, musings, and poems. It basically deals with what we humans go through on a day-to-day basis. Moreover, every chapter is accompanied by a unique and perfectly orchestrated author’s rant or opinion focused on one single person; You. The other side is the reflection of those emotions which remain latent from the world outside because of the fear of being judged, which pervades every mind in today’s society. Thus connecting with everyone. A must pick up for a perfect connection this season! 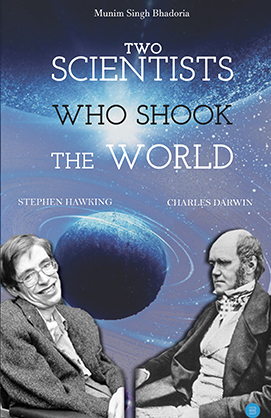 The book ‘Two Scientists Who Shook the World’ contains the theories of two prominent scientists who challenged the traditional beliefs about the origin of Universe and the Evolution of life on earth without divine intervention. Stephen Hawking writes about the structure, origin, development and eventual fate of the universe, which is the object of study for astronomy and modern physics. Charles Darwin’s Theory of Evolution presumes the development of life from no life and stresses purely naturalistic descent with modification. According to Darwin, all organisms had one common ancestor and keep on evolving or changing with time. The book contains valuable content for the readers who have the curiosity to understand the Universe we inhabit and how life evolved on earth. The Himalayan Mountain range span about 2500 kilometers through northern India, Pakistan, Nepal, Tibet, and Bhutan. Nine of the world’s ten highest peaks are located here, including Mt. Everest. The word Himalaya means “abode of snow” in Sanskrit. Many of Asia’s most important rivers have their sources in the Himalayan Mountains which includes Indus, Ganges, and Brahmaputra. The Himalayan range has the world’s third-largest deposits of ice and snow on the planet. It is the home for snow creatures and it has a history thousand years. Now, because of the human interference, the snow in Himalaya has started melting and most of the rare creatures are extinct. Man is a part of this nature but he thinks he is the creator of this world and he has always attempted to change his surrounding according to his whims and fancies. And this change will one day erase our life on earth. 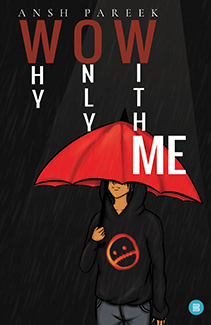 It is a book about those situations in a relationship to which a reader can relate. 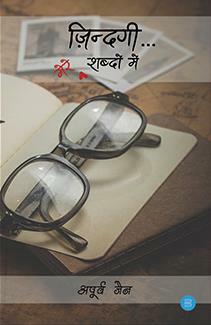 After reading this book, the reader will surely be inspired if they are going through the same situations. 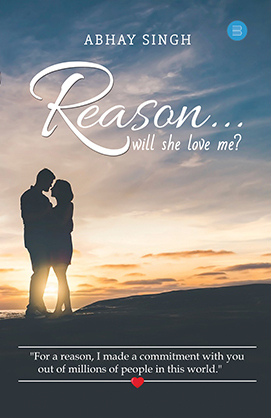 It will not only inspire the reader, it will make them understand the situations they had faced, are facing or will face if they were, are or will be connected to a word called ‘RELATIONSHIP’. This book is to teach the beginners.Pencil sketching makes picture realistic. She has used different B pencils to sketch figures and oil pastel in figures to make the figure more interesting. The book throws light on the study of the human skeleton, the study of human anatomy, human drapery, and light effect on human from different angles. She has tried her best to make the detailed study of hand, leg, head, eyes, and movement of human figures as easy as she could. A boy named Reyansh Mehta tells his tales of love, hatred, loneliness, and the problems which he shared with his only friend, his diary. A series of experiences which he gained at the age of 18.